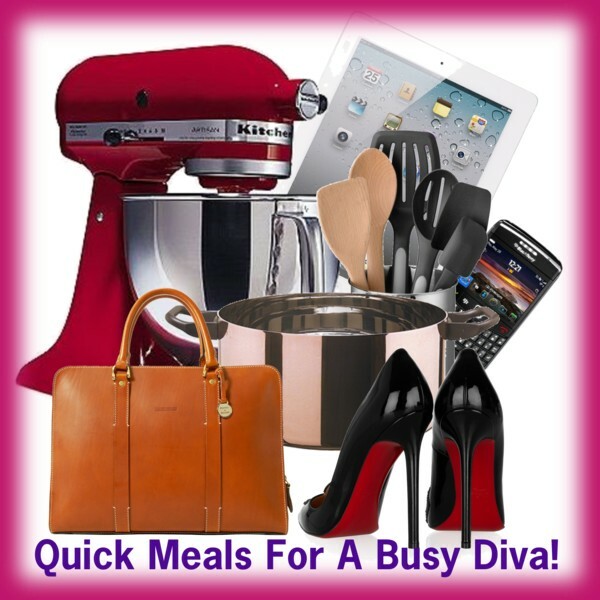 THE MARTINI CHRONICLES: Quick Meals For A Busy Diva...Shrimp-Stuffed Shells! Quick Meals For A Busy Diva...Shrimp-Stuffed Shells! Greetings Divas! We've made to another weekend! For me, the weekend provides much needed time to do those things that I've neglected during the week...like cooking. Now, just because it's the weekend and I have a few moments to cook a good meal, it certainly doesn't mean that I want to hang out in the kitchen all day. Especially when the mall is calling me! Cut to Cooking Light, my favorite cooking magazine. I love the recipes presented in this magazine because they taste delicious, they can be made in a short amount of time, and they often pack a healthy punch. The Shrimp-Stuffed Shells recipe is no exception. I've made this dish on several occasions, and it's amazing...deliciously amazing! And it only takes me about a 35 to 45 minutes to prepare, which gives me more than enough time to cook and make it to the mall for doorbusters! 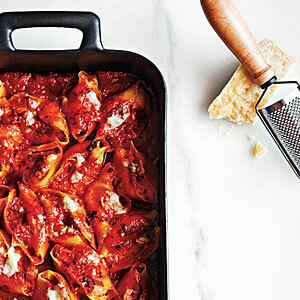 Check out this recipe for Shrimp-Stuffed Shells...courtesy of Cooking Light magazine. Enjoy! 2. Cook pasta 7 minutes or until almost al dente, omitting salt and fat. Drain well. 3. Heat a medium skillet over medium heat. Add oil to pan; swirl to coat. Add shallots; cook 4 minutes, stirring occasionally. Add garlic; cook 1 minute, stirring constantly. Add cream cheese, milk, and pepper; cook until cheese melts, stirring until smooth. Remove from heat. Stir in basil. Place shrimp in a bowl. Sprinkle with potato starch; toss well to coat. Add cream cheese mixture to shrimp; toss well. 4. Divide shrimp mixture evenly among pasta shells. Coat a 13 x 9-inch glass or ceramic baking dish with cooking spray; spread 1 cup marinara over bottom of dish. Arrange shells in prepared dish; top with remaining 2 cups marinara. Sprinkle shells evenly with Parmigiano-Reggiano cheese. Bake at 400° for 30 minutes or until shrimp is done. If you would like to check out the recipe online, click here! Let me know how it goes! Enjoy shopping cooking! and women are speaking intelligently about. Now i'm very happy that I stumbled across this in my search for something concerning this. What's up, this weekend is pleasant in favor of me, as this moment i am reading this fantastic educational piece of writing here at my house.